Do you want to improve your positions in search and increase the conversion rate of your app store listing visitors and turn them into installs? App ratings & reviews will help! Start monitoring user sentiment with TheTool daily and understand, with the help of our tracker, the shifts in user feedback of your app on App Store and Google Play and the effect of these shifts on search rankings and conversion rate. ASO process for iPhone and Android apps has two main strategies: optimizing for app store Search (improving your keywords rankings) and increasing the conversion rate of your product page. User ratings and reviews have a direct effect on search rankings. App stores give more weight in search positions to the apps with more and better app ratings and reviews, which are acting as a sign of “healthy”, bug-free app that provides a great user experience. Positive user sentiment is transmitting the same signal to the visitors of store listing – positive reviews and high average rating has a direct positive impact on visitors, converting them to installs. Tracking and analyzing app store ratings and sentiment has never been so easy! How can TheTool help you improve your App Ratings strategy? We provide multiple options to track different metrics related to user sentiment, and comparing them to vital KPIs. Understand how your app responds to changes in user ratings and reviews, and see what you need to do to boost installs and improve conversion rate. Track, measure and improve your ASO with TheTool now. How many positive, neutral or negative ratings do you receive every day? How did your average rating evolve since your last ASO revision? Is your daily average rating higher or lower than the all time average? Keep this information in a visual form and always under control thanks to TheTool user feedback tracking for the Apple App Store and Google Play. Get a full and easy to use overview of how your user sentiment is evolving day by day, and track the effect of your app marketing efforts (ASO optimization, user acquisition or a special promotion) on your app store ratings. How many of them do you receive compared to daily installs? How does global volume of ratings evolve after implementing a paid user acquisition strategy? You don’t need to take and combine this data from different sources anymore – Global Ratings Volume and Global Downloads are compared visually on one simple graph. Get all the vital information and analyze it daily for a selected period of time, make annotations and track the effect of your marketing efforts on user sentiment. With TheTool you can optimize your app ratings and reviews strategy the way you have never done it before! Are you aware of all the factors that have an effect on app store ratings and reviews? Getting a lot of positive reviews and a high average rating is our dream and our goal. But are you implementing a proper App Store Optimization strategy to improve user sentiment? With TheTool you can always see whether you are on the right path. Your app can be already optimized for search and receive a lot of installs. But do you know if your users really like your product? Are there any problems that your users come across when using it? Have you found your niche of loyal users? Analyzing user sentiment is a very important task in ASO strategy and App Marketing in general. 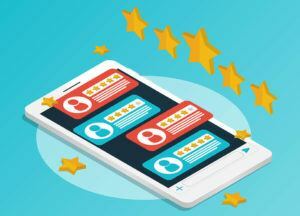 There are many ways to work with app ratings and reviews, like getting in touch and answering to users’ comments, with a chance to improve their review or turn a negative rating into positive. Working on user ratings and reviews is vital to improving the positions in search, convert visitors into installs, and get an audience of loyal users with a high level of engagement. What is an average rating of your competitors’ apps? What are their strong and week points that the users are mentioning in reviews? With TheTool you can monitor on a daily basis the average rating of your app and the competitors that you chose, and help you answer the questions above. Being aware of the situation on the market globally is essential to understand what do the users might like and expect from your product. Your ASO will never be the same again! How to get users to rate your app and achieve a high average rating? Do you want your users to be happy and leave positive ratings and reviews? With more than 5,3 million apps in Apple App Store and Google Play Store it is essential not only to be found, but also to be chosen by the users from the similar apps that they might find in search results. To turn the users who are just visiting your listing into the ones who will install your app or game on their mobile devices is one of the main goals for developers and marketers. To achieve it, all you need to do is ASO. Taking care of the user sentiment, listening to your users and providing the best possible user experience is a key to having a high level of user engagement for your product. The users will not only install your app, but also access it and use it often. If you achieve this, it will mean that your app is well-optimized, and all your marketing efforts will start giving good results. Monitoring user ratings and feedback is an essential part of conversion rate optimization and ASO optimization for search. Are you using TheTool user feedback tracker already? What are you waiting for? App ratings & reviews analysis is one of the most important elements of App Store Optimization process. Don’t forget to track and measure user sentiment daily with our user feedback tracker.